Every child should be able to go to school without fear. Yet, 60% of schools in El Salvador are affected by gang threats and violence. Children often have no choice but to drop out, hide at home, and eventually flee for their lives. 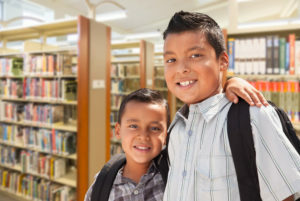 KIND’s 2nd Annual Back to School Campaign aims to highlight and honor pro bono attorneys who are heeding the call to help unaccompanied immigrant and refugee children by providing pro bono legal representation to these children as the new school year begins. As unaccompanied children are getting ready to start school in the fall, over 50% of them have no one to represent them in immigration court. With the help of an attorney, they can focus on their education and fulfill their aspirations for their future. Mary* completed her Associates degree at a community college and is currently working as a receptionist. She is also pursuing a nursing degree and will graduate next year. Having legal representation changed everything for Mary, allowing her to attend college and realize her full potential. 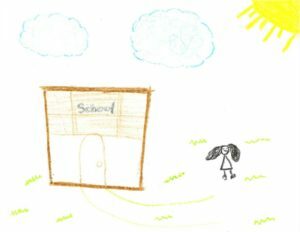 Anna*, a survivor of severe abuse, at age 11 is finally able to go to school without fear now that her asylum case was granted. 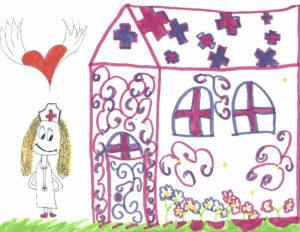 Just like Mary, she dreams of working in medicine and becoming a doctor or nurse one day. *Child’s names have been changed to protect their identity. Now, more than ever, legal representation is critical for children like Anna so they can become adults like Mary, striving towards their goals in life. Contact your local KIND office to get involved today! Marianna Jasiukaitis, Funk & Bolton, P.A. Nicole Johnson, Salmen Navarro Law, P.C. Hedwin Salmen Navarro, Salmen Navarro Law, P.C. Thank you to the below law firms, corporations, and law schools who have taken on 3 or more cases!